If you keep up with the world of health and wellbeing, you may have heard of May Measurement Month. But the question remains – what is May Measurement Month, and why is it important? This awareness campaign, organised by the International Society of Hypertension dedicates the whole month of May to raising awareness around high blood pressure, and, more importantly, getting your blood pressure checked. 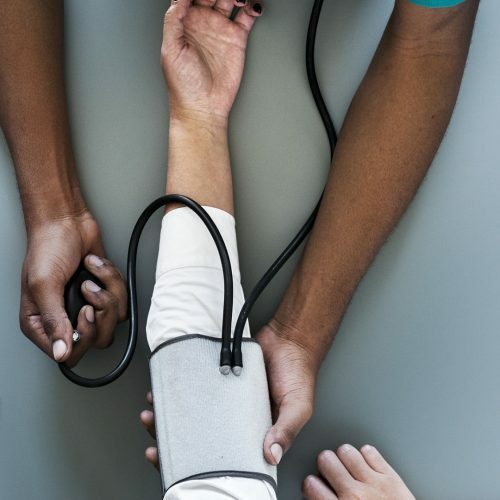 Even more alarmingly, 1 in 4 UK adults have high blood pressure, and because it rarely has noticeable symptoms, many people may not realise that they have it. Who is at risk of having high blood pressure? Around 1 in 20 cases of high blood pressure are caused by an underlying medical condition, or by certain medications. What should you do to tackle high blood pressure? One of the most important things you can do for your health is to get your blood pressure checked regularly. Healthy adults over the age of 40 should get their blood pressure checked at least once every 5 years. Here at New Leaf Health, we’re passionate about health and wellbeing, and we offer a full range of services aimed at creating healthier workplaces. Our Health Check Point is particularly well suited to identifying high blood pressure in staff, as well as giving them the information necessary to make healthier choices, and improve their overall health and wellbeing. The day also includes a debrief to help attendees understand their results, and how they can make lifestyle changes to become healthier. For more information on the New Leaf Health Check Point, click here.